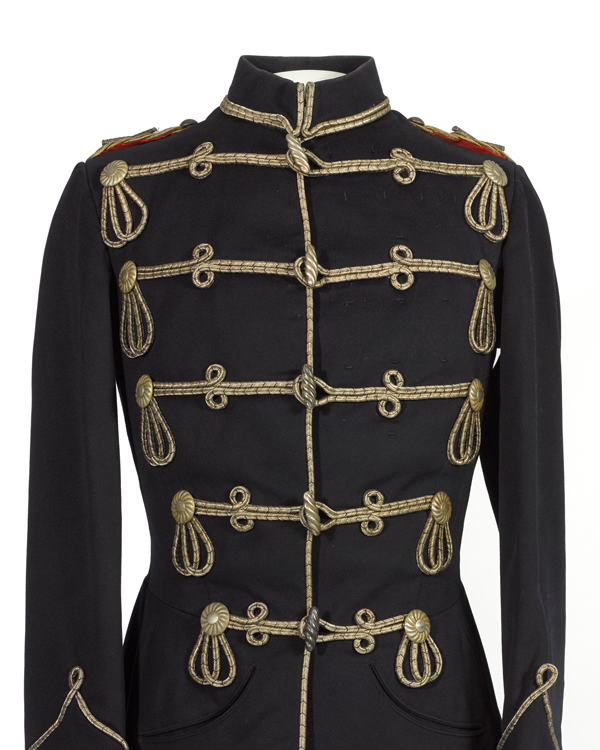 These splendid items of hussar uniform belonged to Prince Arthur, Duke of Connaught and Strathearn. 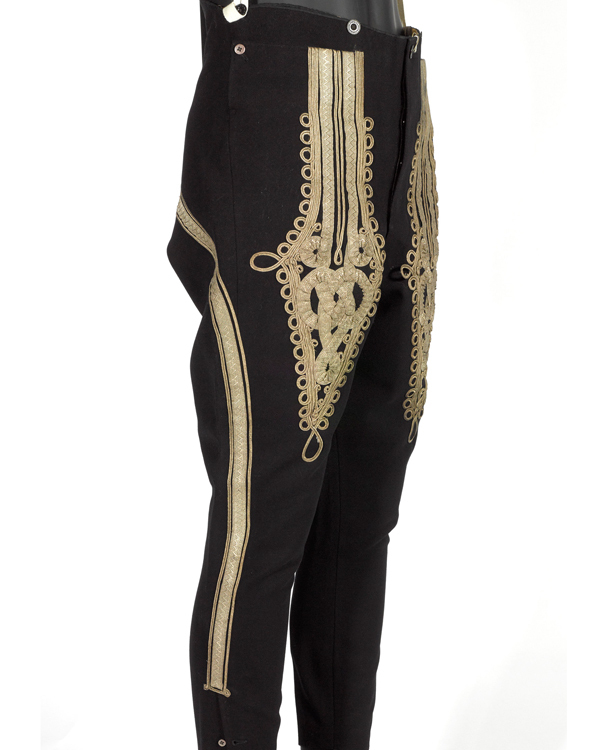 As well as showcasing the flamboyant fashion adopted by hussar units across Europe, they demonstrate the dynastic links between monarchies and the tradition of foreign royals serving as honorary heads of military units. Prince Arthur (1850-1942) was the third son of Queen Victoria and Prince Albert. He was named after one of his godfathers, Field Marshal Arthur, 1st Duke of Wellington, on whose 81st birthday he was born. From an early age, the prince showed an interest in military matters. 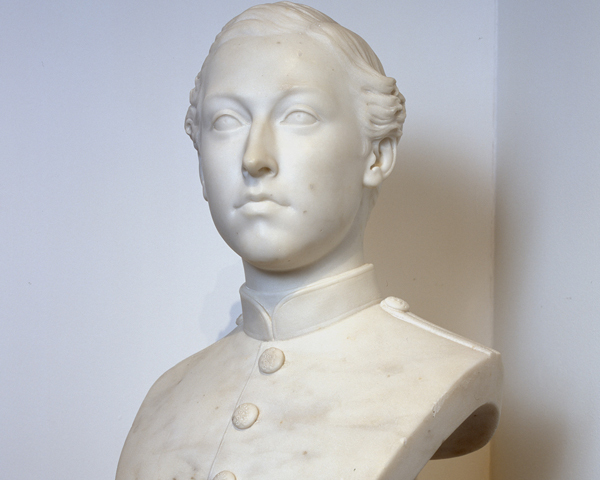 In 1866, he entered the Royal Military Academy Woolwich, completing his studies two years later. He received a commission in the Royal Engineers, but soon transferred to the Royal Artillery. He then moved on to 1st Battalion, The Rifle Brigade stationed in Montreal, a posting which included defending Canada’s borders from the Fenian Raids. He would later return to Canada as Governor General from 1911 to 1916. 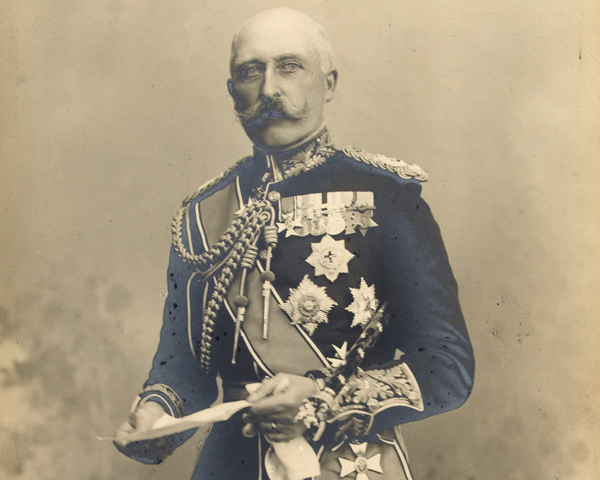 In 1874, Arthur was created Duke of Connaught and Strathearn, and received a commission in the 7th Queen’s Own Hussars. During his military career, Arthur served in Gibraltar, Egypt and India, becoming Commander-in-Chief in Ireland for four years from 1900. In 1902, he was appointed field marshal and later served as Commander-in-Chief in the Mediterranean from 1907 to 1909. 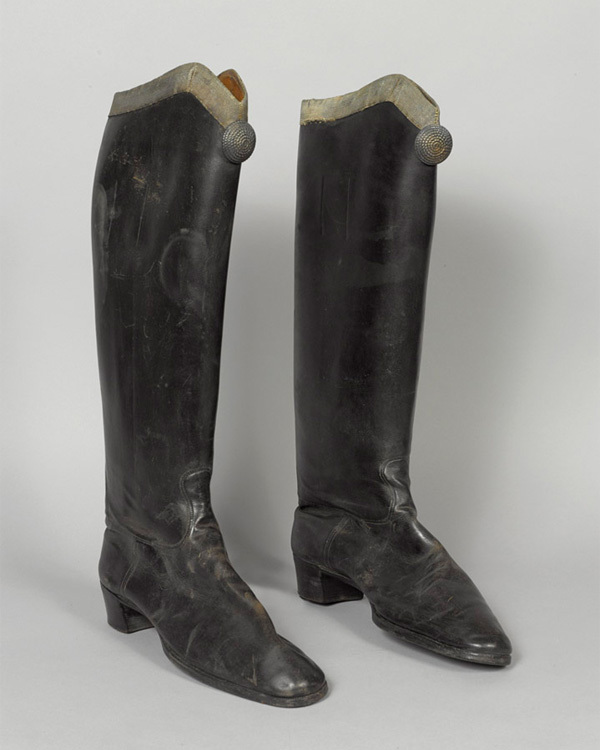 Despite his royal privileges, he had a reputation as a straightforward, hard-working soldier, who was concerned for the welfare of his men, and had little time for pettiness or insincerity. Like most members of the Royal Family, Arthur also served as honorary head of several British and Commonwealth regiments. He would have been kept informed of these units' activities, paid visits to deployed troops, sent messages of support, attended regimental dinners and taken part in ceremonies. In 1879, Arthur married Princess Louise Margaret of Prussia. She was the daughter of Prince Friedrich Karl and a great-niece of Kaiser Wilhelm I (another of Arthur's godfathers). To mark the occasion, he was appointed colonel of the 3rd Zieten Hussars, a regiment of the Imperial German Army. From 1904, he served as its colonel-in-chief and in 1906 he was appointed a field marshal in the German Army. Although purely ceremonial, these appointments reflected his family’s close German ties. His mother, Queen Victoria, was the last British monarch from the House of Hanover. And, through his father, Prince Albert, he was also Duke of Saxony and Prince of Saxe-Coburg and Gotha. As well as his German military links, Arthur was an honorary colonel in cavalry regiments of the Russian and Austrian armies. This was also true for other members of his family. Both of his elder brothers, Albert Edward, Prince of Wales (later King Edward VII) and Alfred, Duke of Saxe-Coburg and Gotha, held honorary appointments in German, Austrian and Russian regiments. Again, this reflects the international character of the British monarchy at the time. Similarly, foreign royals were appointed to honorary positions within British Army regiments. Kaiser Wilhelm II, a grandson of Queen Victoria, was colonel-in-chief of the 1st Royal Dragoons. 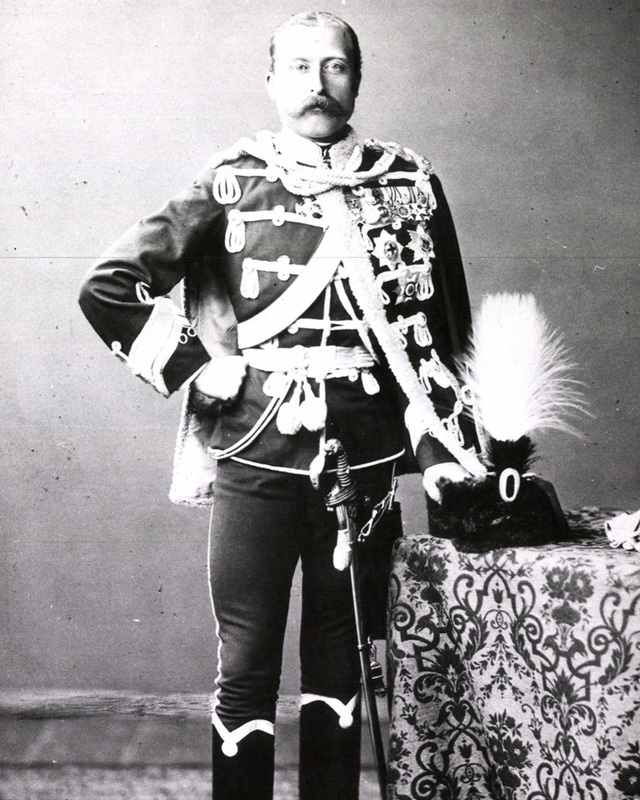 Other overseas monarchs holding British Army roles included Kaiser Franz Joseph I of Austria-Hungary, who was colonel-in-chief of the 1st (King's) Dragoon Guards, and Tsar Nicholas II of Russia (a nephew of King Edward VII and a cousin of King George V), who was colonel-in-chief of the 2nd Dragoons (Royal Scots Greys). Unsurprisingly, following the outbreak of war with Germany and Austria in August 1914, both Kaisers’ positions in the British Army were terminated. Indeed, anti-German sentiment led the British royal family to abandon its titles held under the German Crown. To court further popularity at home, it also changed its name from Saxe-Coburg to the more English-sounding Windsor. As part of this process, Arthur and his brothers dropped their German titles, as well as their German and Austrian military roles. The tradition of foreign monarchs serving as British regimental heads continues today. In fact, one of Arthur's great grand-daughters, Queen Margrethe II of Denmark, is the current colonel-in-chief of the Army’s senior English line regiment, The Princess of Wales's Royal Regiment. The British royal family also continues to take up honorary military appointments overseas. However, these links now tend to be limited to Commonwealth countries. 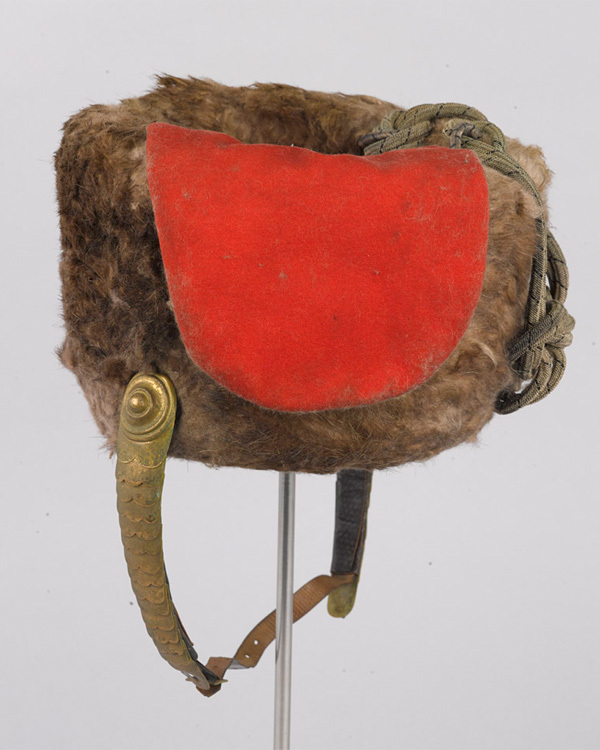 Our exhibition 'Call in the Cavalry', which runs until 9 June 2019, looks at the shared heritage between the Hungarian and British hussars. Learn about the traditions these cavalry regiments have developed, and the many famous charges they have taken part in. Whether participating in ceremonial events, visiting troops, operating as regimental figureheads or on active service themselves, the Royal Family provides a constant and visible link between the Sovereign and her soldiers. British heritage brand Hawes & Curtis has partnered with the National Army Museum to create a limited edition collection that is fit for royalty. The collection is inspired by the uniform Queen Elizabeth II wore as a young princess.